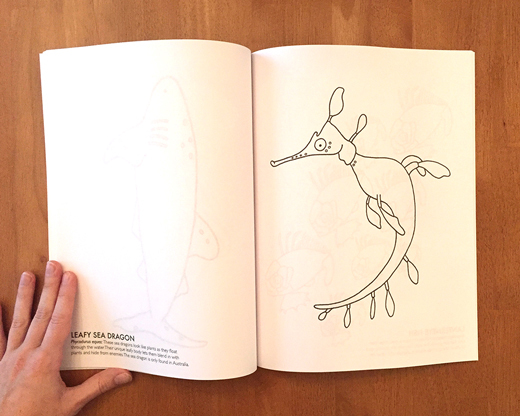 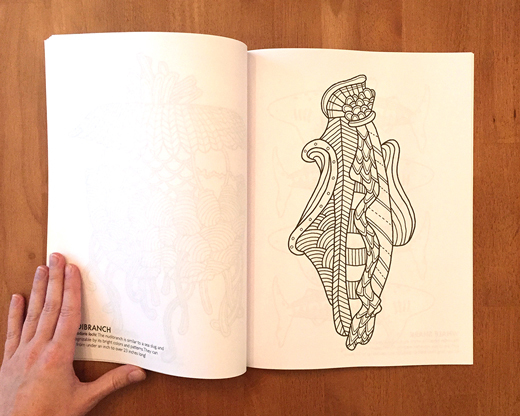 This adult coloring book is full of mind-boggling sea creatures—sharks bigger than ships, fish that glow in the dark, and sea dragons that look like dancing plants—all for you to color! 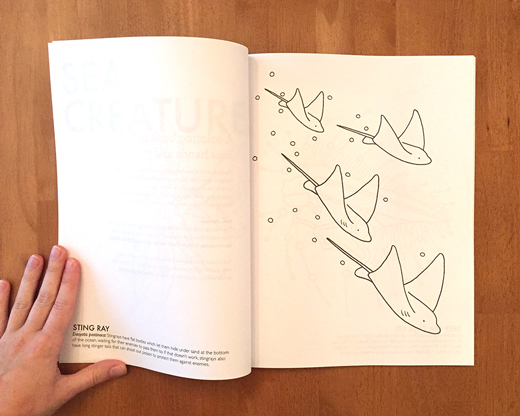 Each animal is accompanied by the common name, scientific name, and a short blurb about what makes it so intriguing. 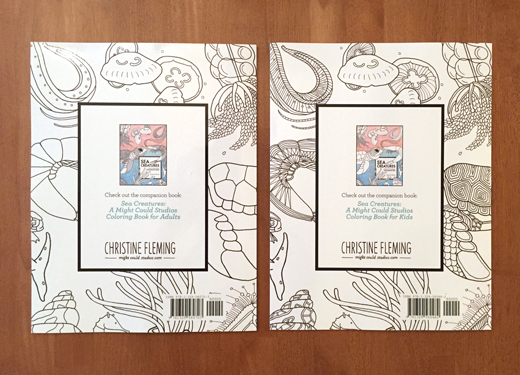 The book contains 21 illustrations drawn specifically for coloring, and each page is printed one-sided to avoid bleeding between pages. 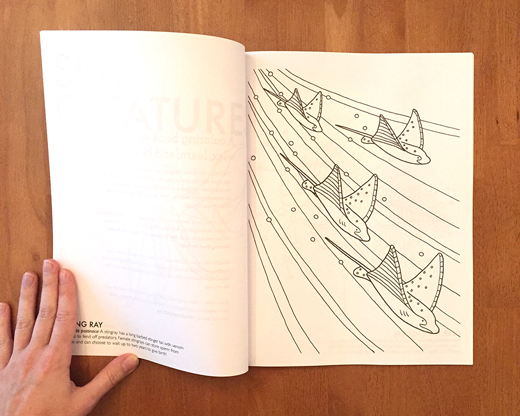 The book is 8.5 x 11 inches, and is professionally printed and perfect-bound with a thick, glossy cover. 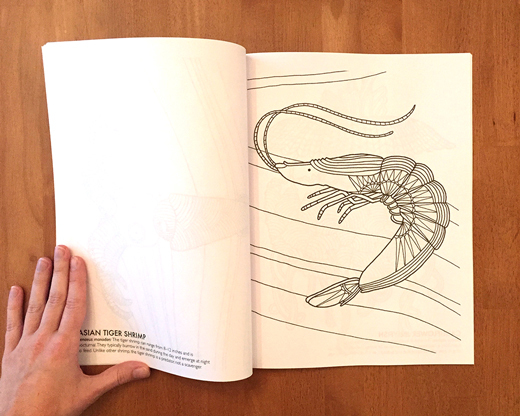 All artwork was drawn in pencil first, and then inked with artist pens. 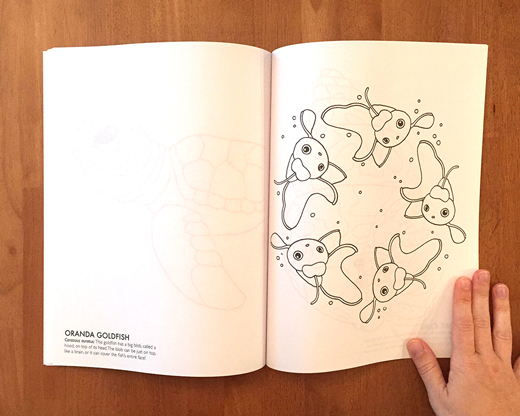 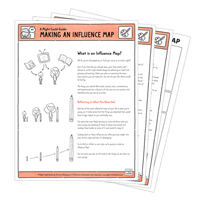 The illustrations are printed on 60# paper and can be used with a variety of coloring materials, though my personal favorite is colored pencils. 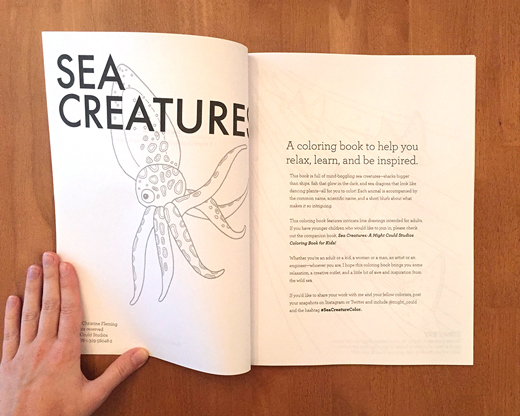 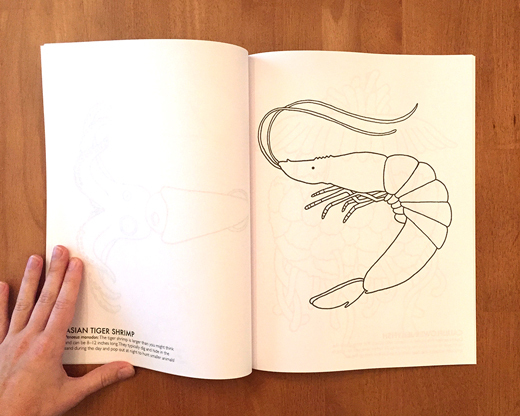 Whether you’re an adult or a kid, a woman or a man, an artist or an engineer—whoever you are, I hope this coloring book brings you some relaxation, a creative outlet, and a little bit of awe and inspiration from the deep blue sea. 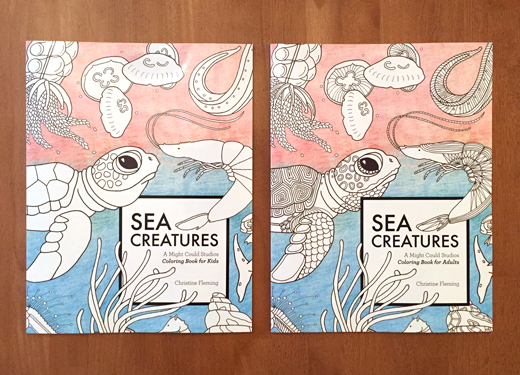 Check them both out in my shop!